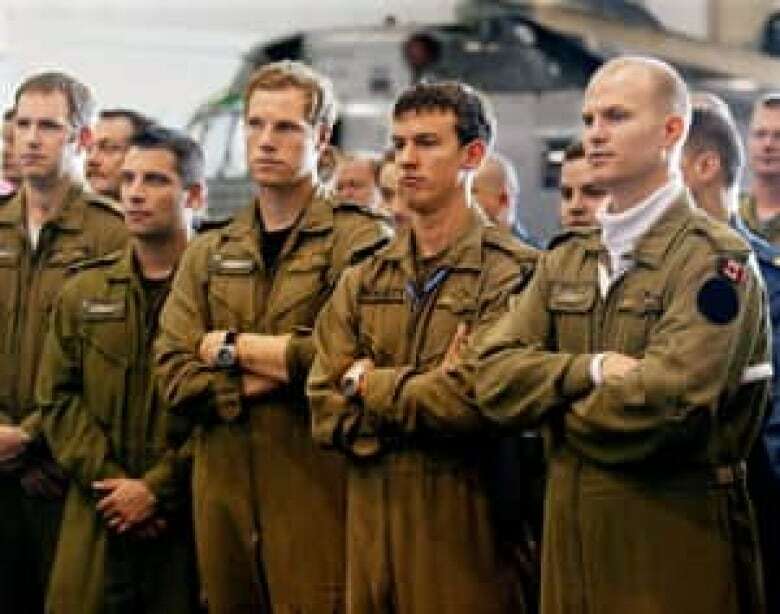 Canadian helicopter pilots have been flying Sea Kings for 50 years, a testament both to the talents of those who have been operating and maintaining the old aircraft and to a series of governments that has been trying and failing to replace them since at least 1986. View our timeline. 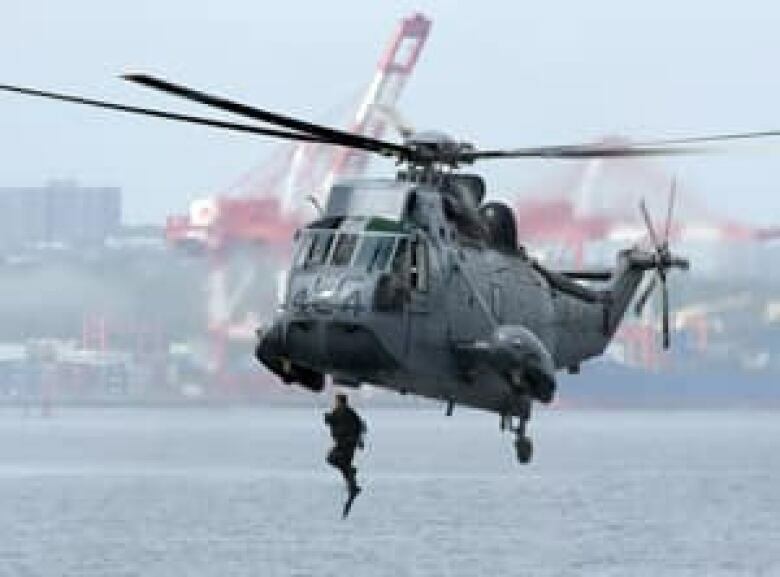 Canadian Armed Forces pilots have been flying Sea King helicopters for 50 years, with the anniversary celebrations taking place today and tomorrow. That these aging beasts are still flying at all is testament to both the talents of those who have been operating and maintaining the old aircraft, and to the failings of a series of governments that have been unable to replace the tired, often grounded Sea Kings since at least 1986. The Department of National Defense was supposed to start receiving the first replacement Cyclone helicopters from Sikorsky Aircraft in 2008 but it is still waiting. And those weren't even the first series of helicopters ordered as replacements. 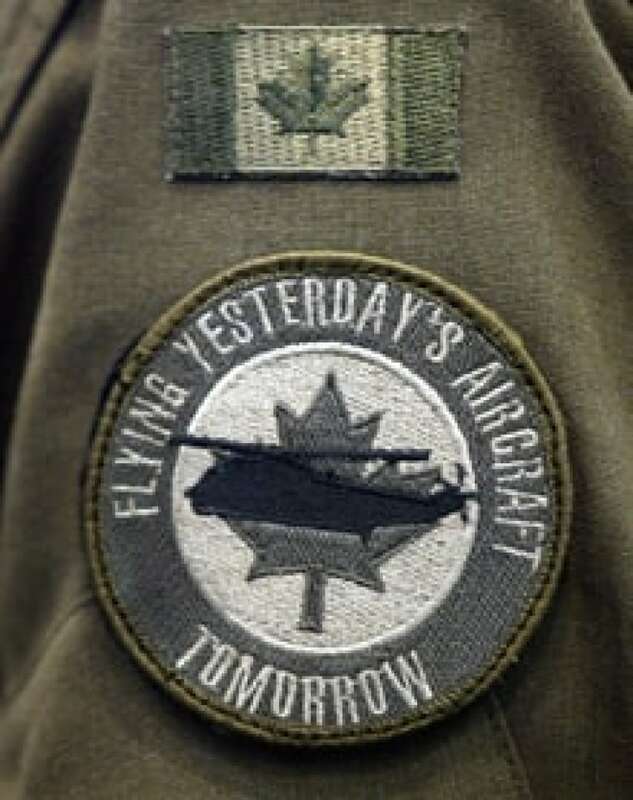 A year ago, Defence Minister Peter MacKay called the government attempts to replace the Sea Kings "the worst procurement in the history of Canada." At the time he seemed to be referring both to the former Liberal governments' stop-start attempts at acquiring helicopter replacements as well to his own government's frustrations at re-negotiating an appropriate contract with Sikorsky. As for the aging Sea Kings, he added: "They're going to go right out of aviation service and into the museum in Ottawa, and that's not a joke." Some of the aircraft still in operation have been refurbished almost piece by piece. In June, then public works minister Rona Ambrose told CBC News about her disappointment with Sikorsky. "The bottom line is that they have not met their contractual obligation," she said. Although there were problems, things went better with Sikorsky in the 1960s, when Canada acquired 41 Sea Kings between 1963 and 1969. Over the years, accidents have claimed 14 of the original 41 aircraft and the lives of eight aircrew as the Sea King played a key role in military and humanitarian operations. The Sea King community that is gathering today in Shearwater, N.S. to celebrate the 50th anniversary includes John Orr, a retired Sea King pilot and the author of a just-published history, Perseverance: the Canadian Sea King Story. Orr recounts how the Sea Kings were acquired during the Cold War for anti-submarine operations, and quickly made Canada a leader in deploying helicopters from destroyers and frigates. The successes of the Canadian Sea King operation, Orr told CBC News, "are attributable principally to the quality and dedication of our personnel. Both on the flight line and the flight deck, they have persevered despite all the adversity that they have faced." With no date set for the arrival of the first fully capable Cyclone, or the retirement of the last Sea King, there may be more anniversary celebrations ahead, assuming they can stay in the air. 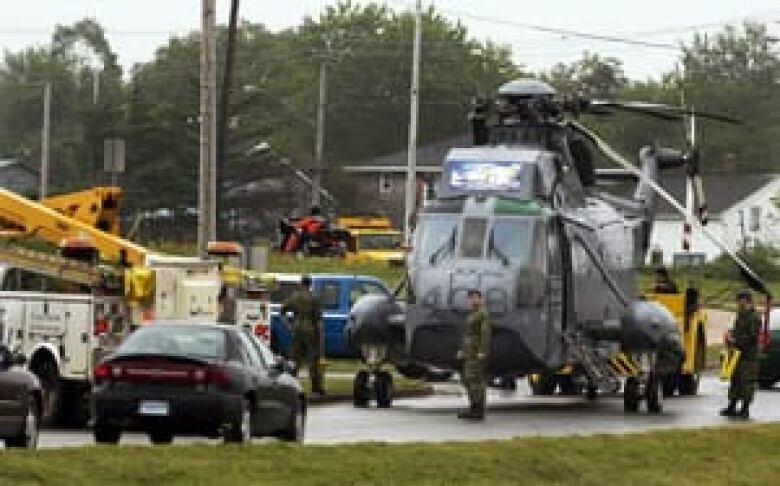 The entire remaining fleet was grounded for four days earlier this month when a Sea King tipped over on landing at CFB Shearwater and smashed its five rotor blades on the tarmac. This week, there was word from Sikorsky's parent company that flight testing of the Cyclones would begin in August at Shearwater. That would happen on four 'interim' Cyclones that Sikorsky has delivered but DND refuses to accept. Here's a chronology of the Sea Kings' first five decades and some key moments in the efforts to replace them. Col. Orr and his book were invaluable sources for this timeline. Sept. 26, 1962: Canada's Treasury Board authorizes $24 million for the purchase of eight Sea King helicopters and a flight simulator. More authorizations would follow. Nov. 20, 1962: Douglas Harkness, minister of national defence, announces the Royal Canadian Navy's purchase of Sea Kings from Sikorsky Aircraft. 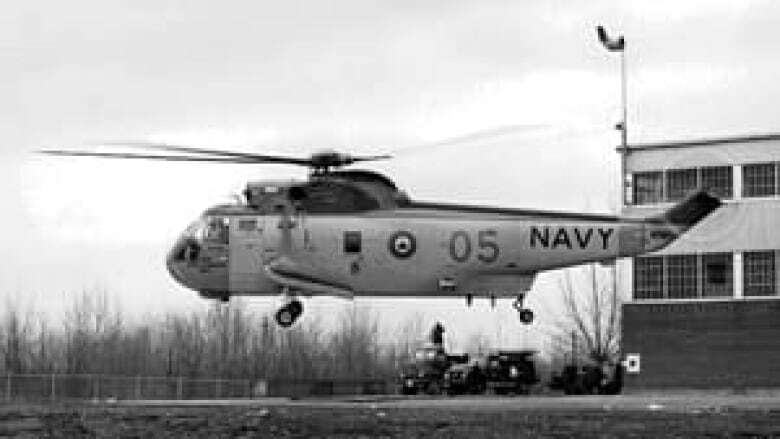 May 24, 1963: RCN Lt.-Commanders Shel Rowell and Ted Fallen accept Canada's first Sea King at the Sikorsky plant in Stratford, Conn., where the first four Canadian Sea Kings were built. The other 37 were assembled at United Aircraft of Canada Ltd. (now Pratt & Whitney Canada) in Longueuil, Que. Aug. 1, 1963: The first Sea Kings, 4001 and 4002, arrive at the naval air station in Shearwater, N.S. Nov. 27, 1963: The first Sea King deck landing takes place onboard the destroyer HMCS Assiniboine. It is also the first trial using what's now known as the beartrap, which uses a haul-down winch, a Canadian innovation. "Canada literally wrote the book on the techniques and procedures for these operations, and these have been adopted by navies and coast guards around the world," Orr says. 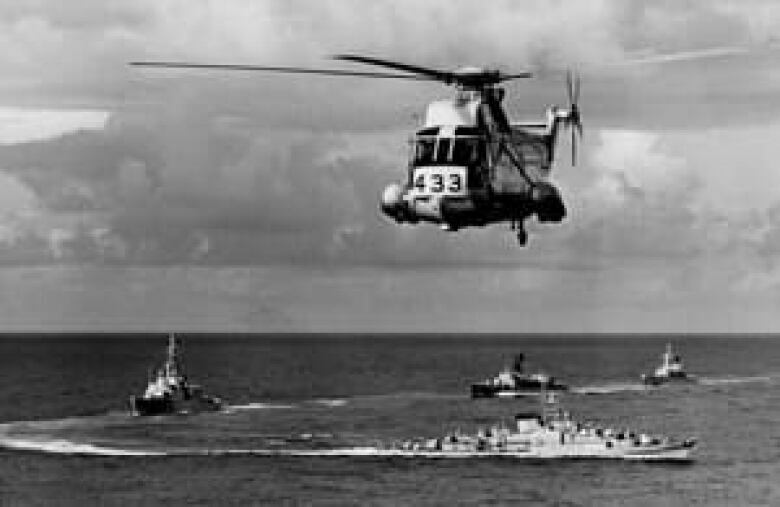 Aug. 27, 1964: The first Sea King (4005) assembled in Canada is accepted from United Aircraft of Canada Ltd.
Jan. 13, 1965: Six Sea Kings embark on HMCS Bonaventure for their first operational deployment, heading for warmer waters off Puerto Rico. March 22, 1967: Crewman Ron Greenbury disappears from a Sea King flying over water near Shearwater. Greenbury said he was going to investigate a fuel leak in the rear cabin but he was never seen again and no trace was ever found. Nov. 30, 1967: Claire Tully and Douglas Mander are killed when Sea King 4002 crashes at sea off HMCS Bonaventure. The two pilots were ejected on impact and survived. It was the first of 14 accidents to claim a Sea King. Feb. 1, 1968: The Canadian Armed Forces are amalgamated. HMCS Shearwater becomes Canadian Forces Base Shearwater, the Sea Kings' designation changes from CHSS-2 to CH-124. May 3, 1969: The final Sea King (4041) is delivered to Shearwater. Nov. 7, 1971: After taking off from HMCS Nipigon during an exercise in the North Atlantic, Sea King 1420 experiences a failure in one engine and crashes into the water. The three crew members were killed and the cause of the crash was never determined. 1974: The Sea King Improvement Program begins and runs until 1979. This was a major upgrade of the aircraft, including new engines, transmission and radar. Nov. 26, 1981: A Sea King rescues 13 sailors in stormy conditions from the oil tanker Euro Princess after it ran aground off Sable Island. June 11, 1982: Two Sea Kings from HMCS Protecteur take part in the nighttime rescue of the crew of a Norwegian chemical tanker that had abandoned ship because of a raging fire. August 1982: The Sea King fleet is grounded because of the discovery of a problem in the transmission. Deployments are cancelled for the rest of 1982. April 26, 1986: DND authorizes a "solicitation of interest" for new shipborne aircraft to replace the Sea Kings. Nov. 4, 1987: A Sea King crashes into the Atlantic Ocean, about 30 nautical miles from Halifax. The four crew members are rescued without injuries. July 10, 1989: 443 Squadron transfers to Patricia Bay, B.C. from Shearwater, taking four Sea Kings to support the West Coast fleet. Aug. 10, 1990: Canada announces that three ships, with a total of five Sea Kings, will deploy to the Persian Gulf to enforce UN Sanctions against Iraq after it invaded Kuwait. Aug. 13-24, 1990: Six Sea Kings quickly undergo major modifications in order to provide surface-surveillance capability in the Persian Gulf. Orr calls it "the Sea King's finest hour." There were no flight or general safety incidents. Feb. 1, 1991: Flying in Sea King 413 (nicknamed Lucky Louie) in the Persian Gulf, MCpl. Karin Lehmann fires tracer bullets across the bow of a dhow that was headed towards ammunition ships and had refused to heed orders to alter course. The dhow then reversed course in a hurry. It is perhaps the first time a shot was "fired in anger" from a Sea King. Nov. 8, 1992: The Brian Mulroney government signs a $4.4 billion contract with European Helicopter Industries and Paramax to replace both the Sea King and Labrador Search and Rescue helicopters. Nov. 16, 1992: HMCS Preserver, with three Sea Kings, departs for Somalia, returning on April 7 1993. Over the next two decades, Canada would deploy Sea Kings on many different military operations around the world, especially in the Persian Gulf area. Nov. 4, 1993: Newly elected prime minister Jean Chretien cancels the New Shipborne Aircraft contract for EH-101 helicopters. During the campaign he had said, " "I'll take one piece of paper, I'll take my pen, I will write 'zero helicopters, Chretien., That will be it." April 28, 1994: At the start of a cross-country transit, Sea King 12425 has an engine malfunction near St. John N.B., followed by an explosion and fire. Engulfed in smoke, the two pilots managed a survivable landing that saved two crew members. Pilots Wally Sweetman and Bob Henderson died. March-April 1995: Sea Kings are deployed during the so-called Turbot War fishing dispute between Canada and the European Union. April 25, 1997: Three Sea Kings deploy for flood relief in southern Manitoba. Sept. 2, 1998: Swissair Flight 111 crashes in St. Margaret's Bay, N.S., killing all 229 people on board. Sea Kings participate in recovery operations. March 23, 2000: Sea Kings rescue 13 crew members from the bulk carrier MV Leader L, which is sinking 370 nautical miles northeast of Bermuda. Aug. 1, 2000: A Sea King deploys from HMCS Athabaskan in order to seize control of GTS Katie, a transport ship loaded with Canadian military equipment returning from Kosovo. The ship had refused to enter Canadian waters because of a dispute with a contractor. Aug. 17, 2000: The federal government announces plans to spend over $3 billion on a new fleet of 28 military helicopters to replace the Sea Kings. Oct. 7, 2001: Following the Sept. 11 attacks in the U.S., Chretien announces Canada's participation in Operation Enduring Freedom, the war in Afghanistan, in which Sea Kings will be deployed onboard Canadian ships during what becomes a two-year operation. Oct. 24, 2002: Five men are rescued by a Sea King helicopter after their 20-metre boat was destroyed by fire just south of Nova Scotia. July 23, 2004: DND announces Sikorsky's H-92 Cyclone is the winner of the helicopter competition. Nov 23, 2004: The government signs contracts with Sikorsky for 28 new CH-148 Cyclone helicopters for $1.8 billion, and for 20 years of maintenance and support for $3.2 billion, including construction of a training facility and a simulation and training suite. Sept. 6, 2005: HMCS Athabaskan and Ville de Quebec and their Sea Kings deploy to the Gulf of Mexico in the relief effort following Hurricane Katrina. Feb. 2, 2006: Sea King 12438 crashes into the ocean during an approach to HMCS Athabaskan off the coast of Denmark. The crew escape with minor injuries before the helicopter sinks. July 29, 2008: HMCS St. John's, with one Sea King aboard, deploys for drug patrols in the Caribbean. During her deployment, St. John's is diverted to provide humanitarian assistance in Haiti, which had been hit by four hurricanes. November 2008: Deadline missed for delivery of Sikorsky's first batch of Cyclone helicopters. April 5, 2009: HMCS Winnipeg comes to the rescue of a merchant ship facing a pirate attack off the coast of Somalia and then went on to help a boatload of desperate refugees. A Sea King helicopter is deployed to thwart the attack. Jan. 14, 2010: HMCS Athabaskan, with one Sea King, departs Halifax for Haiti to provide disaster relief following the devastating earthquake. 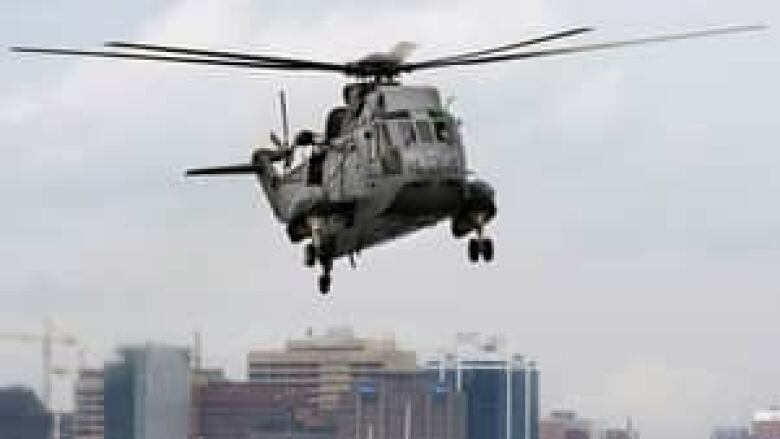 June 30, 2010: Canada agrees to accept six interim helicopters with lesser capabilities than those ordered by DND, provided Sikorsky agrees to deliver "fully compliant" helicopters beginning in June 2012. Sept. 21, 2010: Three Sea Kings deploy to Newfoundland to provide humanitarian assistance to outlying communities cut off by Hurricane Igor. Oct. 26, 2010: Auditor General Sheila Fraser criticizes DND for its Chinook and Cyclone helicopter procurements. She notes the Sikorsky costs have increased to $5.7 billion. March 2, 2011: HMCS Charlottetown, with one Sea King aboard, is the first Canadian ship to take part in international operations underway in Libya. Charlottetown would patrol the waters immediately off Libya in support of the UN arms embargo. July 4, 2011: Prince William, a search and rescue pilot in Wales, co-pilots a Sea King during an emergency exercise in P.E.I. Catherine, Duchess of Cambridge, is one of the 2,400 onlookers for the "waterbird landing." June 2012: Deadline for Sikorsky to deliver fully compliant Cyclone helicopters passes. Jan. 14, 2013: HMCS Toronto, with one Sea King, deploys to the Arabian Sea to conduct maritime security and counter-terrorism operations. June 25, 2013: Public Works Minister Rona Ambrose orders a review of Sikorsky's ability to actually deliver the Cyclones. "They have missed every deadline and every timeline," she tells CBC News. July 15, 2013: A Sea King tips forward smashing its five rotor blades on the tarmac at Shearwater. The Sea King fleet is grounded for four days. July 31- Aug. 1, 2013: 50th anniversary of the arrival of Canada's first Sea Kings in Shearwater.